Hello and Welcome @wenL If you haven’t already done so, please run the Malwarebytes Support Tool and then attach the logs in your next reply: NOTE: The tools and the information obtained is safe and not harmful to your privacy or your computer, please allow the programs to run if blocked by your system. 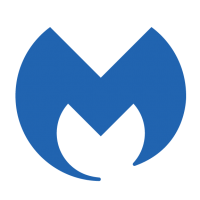 Download Malwarebytes Support Tool Once the file is downloaded, open your Downloads folder/location of the downloaded file Double-click mb-support-X.X.X.XXXX.exe to run the program You may be prompted by User Account Control (UAC) to allow changes to be made to your computer. Click Yes to consent. Place a checkmark next to Accept License Agreement and click Next You will be presented with a page stating, "Get Started!" Click the Advanced tab Click the Gather Logs button A progress bar will appear and the program will proceed with getting logs from your computer Upon completion, a file named mbst-grab-results.zip will be saved to your Desktop. Click OK Please attach the file in your next reply. Great news! macOS 10.14.5 beta 3 solves the problem by properly "grandfathering" the Malwarebytes for Mac 3.7 kernel extension, so it can be used again. If you're using a beta of 10.14.5, please update that to beta 3. There is a new warning message that will be shown, however: This message indicates that these un-notarized versions of Malwarebytes for Mac will break on some future version of macOS (which version is not specified). Thus, please update Malwarebytes for Mac to version 3.8, which will be fully notarized, as soon as that becomes available.